Best. Line. Ever: "Sokka, get out of the bison's mouth." 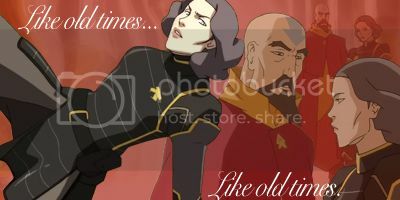 Great episode, we actually began to see a side to Azula here that we rarely see; the begining to the madness, so to speak. Melon Lord Ozai was awesome! Real Ozai was crazy! All in all, awesome start to the finale. Love is hard when you're young. It gets better. Melon Lord!! Also, Life Changing Field Trip! AND APPA ATE MOMO! Lol. 1) It was nice to see the gaang having fun for at least a little while in the beginning! It was cool to see them having a beach party and Toph's sandbending was incredible! 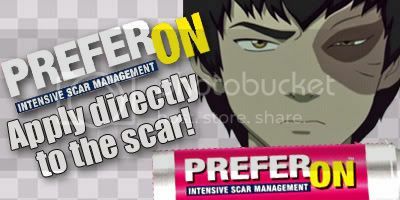 2) Zuko went mad and attacked Aang, but he had reasons. I agreed that they had to stop fooling around and train or something! 3) So, airbenders were wiped out thanks to Sozin's comet, still unbelievable that they all died though. 4) Really great training session! Toph was super funny as the firelord! And when Sokka took the sword and cut the Melon-Lord's head in half, I felt just as horrified as Aang did. Strange, but the calm way in which Sokka did it scared me a little. 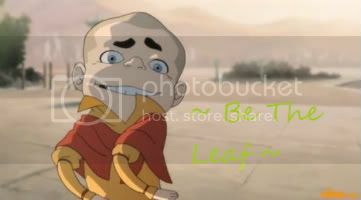 Keeper of Nyla's sense of smell, the 'Love Amongst the Dragons' poster, Aang's peaceful nature, and Sokka's Dragon Pipe! Nothing did it for me in this episode. Seemed to just set of the last three for me. The calm before the storm is one way to describe this episode. I enjoyed it. It set up everything nicely and they even had fun. Zuko attacking Aang was interesting. 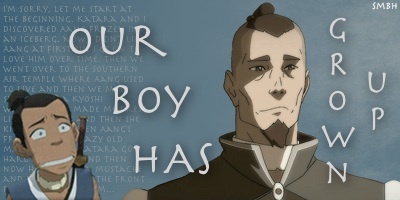 But I'm glad he did, Zuko knows how his father is and he knows more than anyone about what could happen. The Melon Lord sequence was both hilarious and interesting. Toph was so funny doing her EBIL laugh. But the end of the scene was creepy. Sokka sure had no problem with killing someone and I felt bad for Aang. Overall I enjoyed it a lot! Toph is a brilliant Melon Lord ne? Poor Aang, I can understand how he feels. That is hard. YAAAY! Jun is there~ :3 very interesting. Question I have is when did Aang's doubts of killing Ozai come from? Where was his doubts during the Day Of Black Sun invasion. Maybe he was also thinking of not killing him there either. Also, back in TSR, when Aang was being preachy about how violence isn't the answer and that question Zuko popped to Aang in the end basically answers your question. Look at my Baby!! 8 for 8!! I am melon lord!! When I heard that i started cracking up!! It kind of scared me when Sokka cut the supposed "head" off!! 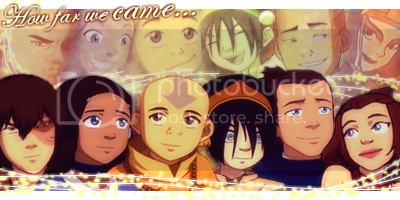 I was like wow!, sokka got a little dark there!! 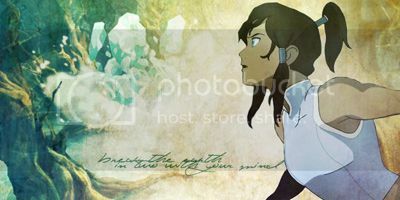 Also, I felt bad for Toph, when she was trying to connect with Zuko and he kind of pushed her aside. Memoirs of a tiny alien robot geisha. Ok... I don't know if I will really be able to seperate the episodes in my head... But I will try to give an opinion for each. Zuko gave quite an amazing display of his skills when he attacked Aang: nicely foreshadowing the incredible fights waiting for us during the finale: Guys, we ain't seen nothing yet. One last moment of calm before the storm. The end with Azula was ominous - I still think the chicken helmet was *chokes*, but Azula talking back to her father? It showed that she was never denied anything and couldn't deal with it. "...the ones they left behind"
This episode was a great way to enter into the finale. The beach party was hilarious. Aang's Appa sand sculpture was really cool, and Sokka's Suki sand sculpture was hilarious. Oh, and Suki's swimsuit was hott. It's so good that we finally got to see what happened in the War Meeting from episode 309. Ozai had quite the Megalomaniacal Overlord moment there. And we can see that Zuko's transformation into Iroh actually started right there, when he described the people of the Earth Kingdom using the same words Iroh used in "Bitter Work". The training sequence was extraordinary. The animation was fluid and flawless, everything was perfect. Baby Ozai was cute. He's still quite attractive. Too bad he's insane. And insanity runs in the family apparently, because we can already get a glimpse of Azula's descent into madness from her face when Ozai declares her the new Firelord. BTW, "Firelord Azula" sounds really really awesome. Love Jun's reappearance too, and that the music playing at the tavern was the same music that The Flameos played in "The Headband". All in all, an excellent introduction to the finale. i loved the animation, it was excellent. and the music was awesome as well. Boomerang! You do come back! Why did that Lion-Turtle island seem like a god? Like, even the Avatar doesn't know how to deprive anyone of their bending abilities completely. What was up with the pentagon shape thing? My first impression was it was The White Lotus' secret little lair. I wish that creature had some sort of history coz he seemed as old as Tui & La or Koh. I can't exactly tell which events belonged to which episode, since I watched it as one. Oh and Jun!!! Her appearance was rather brief, but nevertheless cool anyhow. I knew Toph would idolize the likes of some tough girl-power bounty hunter! And Suki's side comment of "her skin's flawless" was ironic considering how brusque Jun is. Azula & Ozai's convo was absolutely perfect. Much like how a spoiled-rotten brat would say to her father. Don't get me wrong though--I'm the foundress of the Azula fanclub It did seem rather odd why Azula would suddenly be so paranoid with being Firelord when her position as princess still didn't promise much security from assassination. Why is she unraveling only now? I have to re-watch the episodes separately since I'm quite confused with it. KATARA AND HARU! Ahhh, that line had me laughing even after the scene was over. Ohhhh Toph, why did you not have more screentime other S3 episodes? And then Zuko's Aang-tracking expertise. That made me laugh pretty hard too. Ohhh, I think I'm going to go watch it again for the third time in a few minutes. Maybe. i can only agree with the upper writers. the episode was a good start for the final. the run of the story was well choosen. who doesnÂ´t want to kill anybody..even his biggest enemy. and finally aang spirited away to a mysterious island. furthermore the line showed the madness of the former fire lord ozai,now calls himself phoenix king and azula,who doesnÂ´t want to be treaten like her brother..
Beach Party! Sand Castles! LOL. This was a great beginning for the movie. I loved Melon Lord Toph, that was great. It was kinda dark when Aand didn't want to "kill" the Melon Lord, so Sokka cut off his head and said "there that is how it is down." Poor Aang. I also loved when Zuko attacked Aang the action and animation was great! Appa ate Momo! Sokka get out of the Bisons mouth! xD Oh, and who didn't love all the Sukka? 10/10!! Oh man, this was a perfect set-up to the finale. One more scene of the Gaang having fun, (the sand sculptures were hilarious), and then a crazy-amazing fight scene with Aang and Zuko. And the training sequence...first of all I loved how Suki just hopped over the flaming rock and Sokka fell behind. But I have to say...the greatest Toph quote in the whole show may have been right there. "Toph, watch where you're throwing!" "I'm not Toph...I AM MELON LORD! Bwahahahahaha!" My Dad, brother, and I were rolling on the floor during that scene. She's got the maniacal ruler down. And her easy, "Sweetness," when they told her she got to the bad guy reminds me why Toph is the Chuck Norris of this fandom. Cause she's amazing. Sig and avvie by the amazing KF! They came. They saw. They fought. They changed. And so did we. Looks like a bug, attacks like Azula. One last Zuko/Aang fight before the series ends...thank you Mike and Bryan. Most importantly, I loved the struggle aang had with killing the firelord. I really wanted to smack all of them when they all treated killing Ozai like nothing. I still believe...Koh is coming soon. And that Aang will lightningbend. Requests open for the summer!